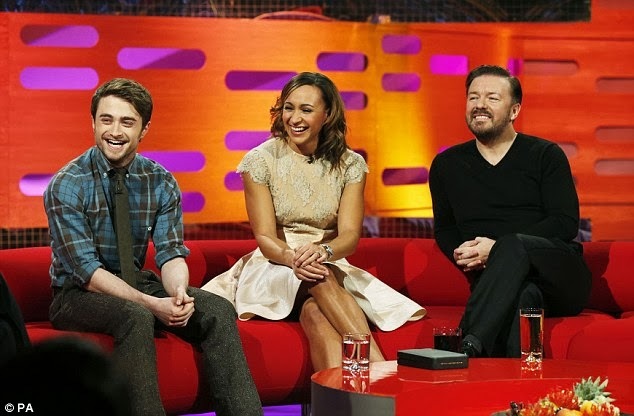 Daniel was a guest on The Graham Norton Show this past wednesday. The episode (Series 12, episode 7) aired yesterday night on BBC One. Daniel promoted A Young Doctor's Notebook and they also discussed the Fan fiction website from affiliate simplydanielradcliffe.com. It had a traffic overload but is working again. Update: 16th February 2017. Not sure why I didn't add it here back in 2012, but there is a photo shared by Jessica Ennis on Facebook. 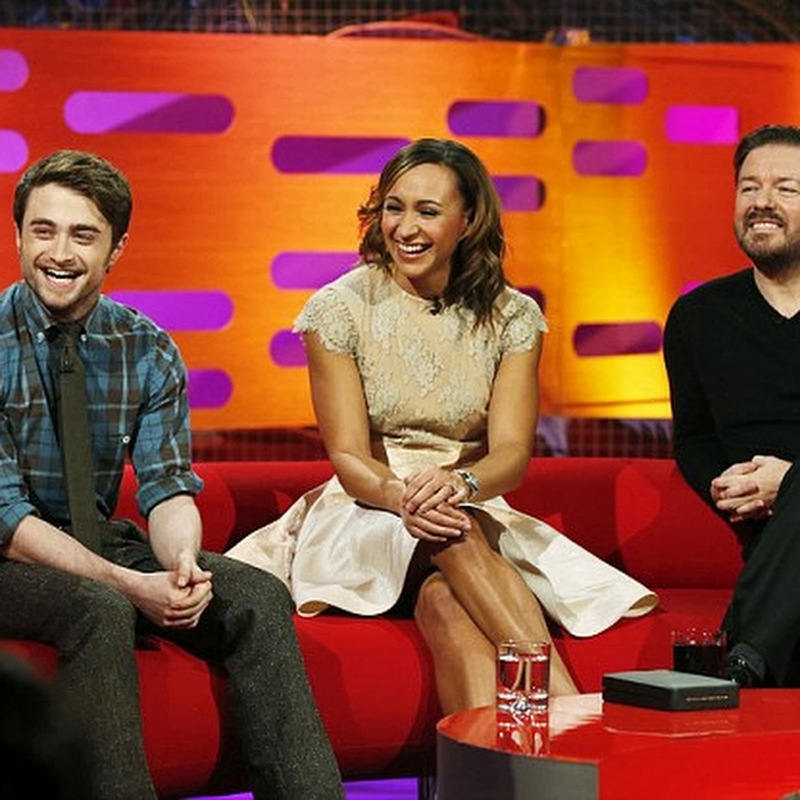 Great show with Graham Norton. It airs Friday night in the UK.